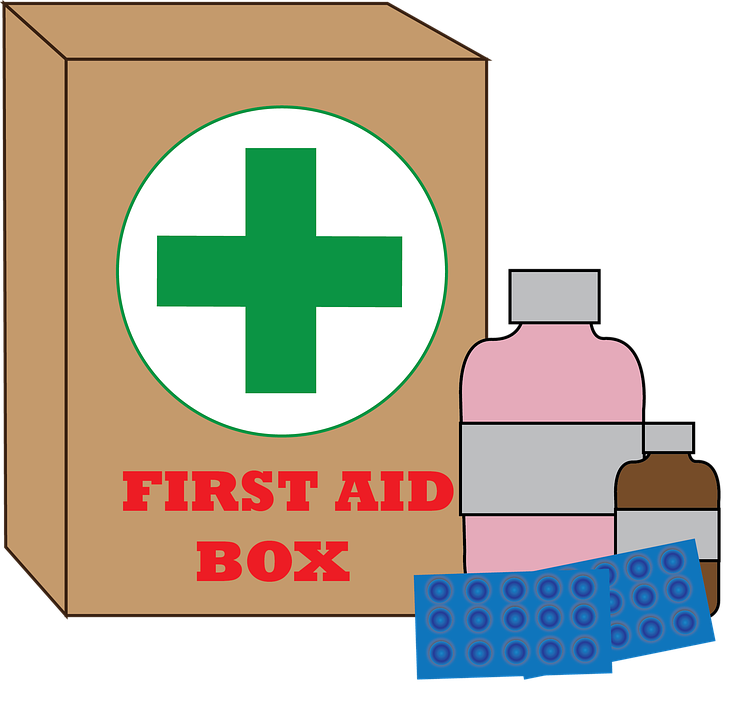 There is a lot that can be said on this subject, but we will be looking at some general information that pertains to protecting yourself while carrying out your duties. 1. Safety shields protect your face when using a chainsaw and string trimmers from flying debris. So it is important to wear this safety gear to protect your nose, eyes forehead and your face in general. 2. 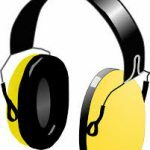 Earmuff and plugs are a must when using loud equipment like a chainsaw, string trimmers, lawn mowers, ride on mowers etc… Continual exposure to this type of noise can lead to hearing problems and if not addressed in the proper way can lead to hearing loss. 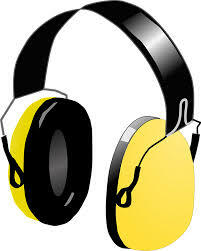 Using safety equipment can reduce noise. 3. Glasses and safety goggles are a must when using string trimmers, chainsaws, and pole saws. 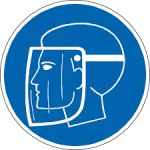 Our eyes are very delicate and we must do all we can to protect them when using safety equipment. Eye equipment should be clean at all times. Clean with a soap solution and discontinue use of equipment that is damaged and scratched. 4. 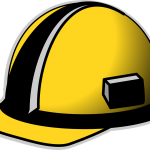 A hard hat is to be worn when using pole saws to cut overhead branches, removing coconuts from trees etc… In short any landscape work that involves where your work requires you to reach overhead, a hard hat should be worn. Before using inspect to make sure the hat is in good condition. 5. 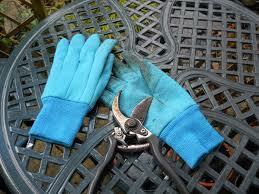 Wear hard gloves to protect your hands from injury when using the pole saw, chainsaw, pruning saws or hand pruners. Gloves should be only worn by you and not shared with other persons. 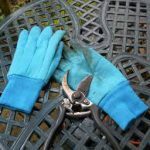 Vinyl gloves should be used to protect your hands when handling chemicals such as insecticides and fertilizers. Make sure that gloves are in good repair before using. Example, gloves has no holes and is in good repair. 7. 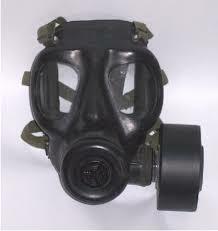 A respirator is of great value when mixing and applying pesticides and other chemicals along with fertilizers. Make sure that respirator is working properly. Clean after every use with soap and water, don’t share respirator with other persons. 8. Chaps are very important when using chainsaws at ground level, to protect the thighs and legs, The material of chaps are made to cause the chainsaw blade to jam if it comes in contact with the thighs and legs. Landscape and gardening is a wonderful field that can bring lots of joy and satisfaction, but even as rewarding as this field might be we must always make sure that while working in we are safe at all times by following proper safety practice. Overall I enjoyed reading your post. I feel the subject matter is relevant and important. Many people don’t think of these things. I don’t know what theme you are using for your website, but it seems to be perfect for you. I am older now and I found reading you small text was tiring on my eyes, but I realize that is just me and I can always enlarge the page making it easier for me to read. I do like how you have it broken into sections, that definitely makes it much easier to read. Your content is always relevant to your topic and to your overall website. I know I have it bookmarked for this spring when I go to tackle the jungle called a back yard at my home. Hello Barbara it is so good to meet you and you make me feel so good with your comments, I am so glad that I could help. My aim is to please my readers and to help them as much as I can, all the best to you and have a good night. What a fantastic site. I was amazed at the wealth of information you have provided on your site and as someone with a green thumb I really enjoyed looking at the various topics you had. There were a lot of long list on what you discuss on each page. It seemed to almost overwhelm me. Have you though about a way of organizing it where the key topics are on the page? and the rest are in an a-z search. I am not sure if that is something you can create or if it would help. Was the learning channel something you came up with or did someone recommend it to you? I thought that was a clever way to teach people about things, or their children and engage them in the website even more than normal. Hello Mario it is so good to meet you and thanks for those very kind words I feel honored to be receiving high marks from you. My goal is to give my best by keeping my readers happy and interested. I have tried several times to make the adjustment to my website I guess I will have to try again, thanks again for your advice, all the best to you and have a good day. Thank you for the insightful post and it’s what I need to find to convince my dad to change his unsafe ways. He comes from a different generation and therefore hasn’t been educated on the importance of safety especially in your home. He thinks because he is in his backyard nothing can happen to him. But things have happened, he can barely hear out of his right ear, and that’s because he’s always using his lawn mower and whipper snipper without the protection of ear muffs or ear plugs. I’m just wondering about his eyes. He does wear glasses. However, I wonder if they are okay to use? 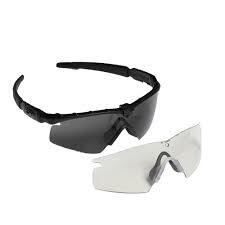 Or should I go out and purchase a pair that is specially designed for his safety? Hello Amberlee it is so good to meet you and thanks for commenting, we cannot take practicing safety for granted because our health is at stake. There are many persons that have said only if I had listen. It is better to be safe than sorry, so I hope your dad listens to you. And as far as eye safety is concern there are eye protection know googles that you can purchase from your garden center. Hope this helps all the best to you and have a good day. I wouldn’t have thought of all this stuff. I do use boots, gloves, protective eyewear, and have a first air kit close by. I guess it really depends on what you are doing. Plus I suppose I am not doing anything that requires heavy lifting or cutting. 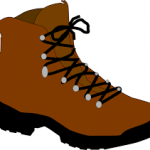 Great information, everyone should take such care when working outdoors. Gooding morning my good friend, so nice to see you and thanks a million for your comments. Many persons that work in the landscape and gardening field take safety for granted, but and accident can happen at any time therefore it is better to be safe than sorry. Thanks again for commenting. All the best to you my dare friend, have a good day. Unfortunately many accidents with in the field of landscape and gardening happens every year, simple because individuals donâ€™t take safety measure very seriously . 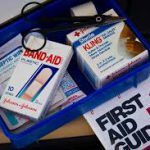 I have seen many persons over the years having to take a trip to the doctors office because of not wearing safety gears.There is a lot that can be said on this subject, but we will be looking at some general information that pertains to protecting yourself while carry out your duties. No that is a really thorough list of what a really important items that are there for our health and safety. Most people would never think of getting some or most of this stuff. I know a guy who has ended up in a wheelchair for the rest of his life after a gardening accident. Just goes to show proper boots with proper grip and above all a safety harness would have prevented that. He was n’t landscaping he was pulling down Ivy from high up on a house wall, slipped off the ladder, which was secured and fell. Do you know where such equipment can be bought or hired? Hello Derek it is always good to hear from you, that is such a sad story but the reality is that safety comes first before we can carry out the job. It is better to be safe than sorry. 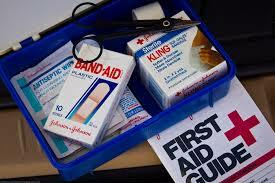 You can check home depot or one of your local garden centers, some hard ware store may carry them also. Hope this helps, all the best to you and have a good day. Hello and thanks for sharing, all the best to you and have a good day. What a great information you write here. 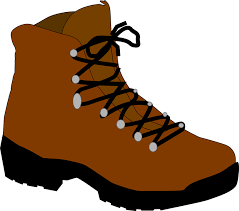 Most of the times we know what we should wear be it on site or off site to prevent those necessaries things to happened. But we just didn’t take any precaution. We should not take it for granted. I feel this article to provide exact tools should we locate and kind of awareness to us. Will definitely place it some of above tools in my garden. Thanks man for providing such useful info. Hello Maxx it is great to meet you and I am glad that I could help and always remember to keep it safe. All the best to you and have a good day. I should have read this article before… last weekend I was cutting the grass with some scissors, and unfortunately, I cut my finger. (the only positive thing is that I didn’t cut it all). Now, I’m not able to do anything with my hand for almost 1 month! that’s horrible believe me. So a lesson learned: people please do care yourself when doing these type of things!! 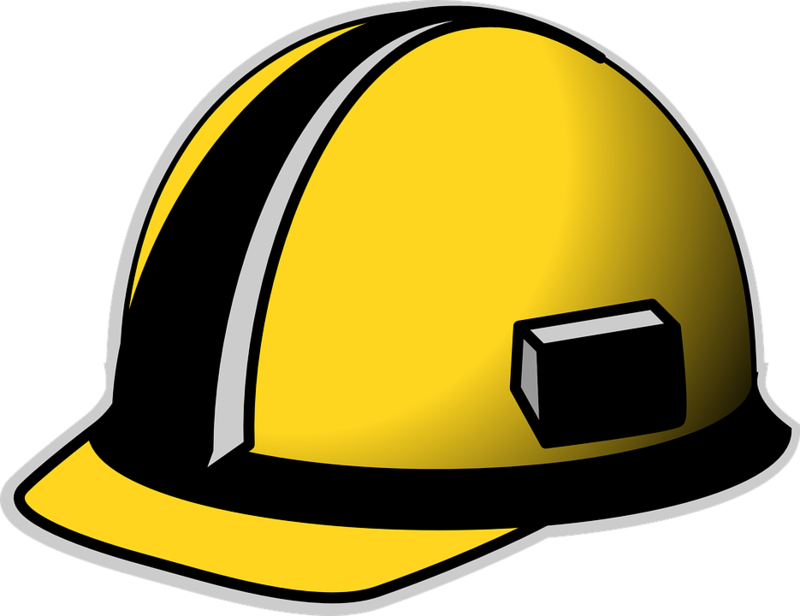 Hello Kevin it is so nice to meet you and I hope you get better soon, safety is so important and it does not matter how pressing a job my be, don’t even attempt to do the job without the right safety gear. All the best to you and thanks for shearing. Have a good day. Hi! I enjoyed reading your post. it made a lot of sense to me especially since I worked for a safety firm many years ago. We used to present to companies and promote the importance of safety first. I agree with you that this is often the last thing in people’s mind when they perform their tasks. The simple use of PPE could save one from a lot of trouble. Hello Cassia it is so good to meet you, thanks for commenting, safety should always be first in whatever we do. all the best to you and have a good day. Hello Shannon it is so nice to meet you, safety gear is a must and we should not attempt to do any job that may put our live at risk without first ensuring our safety. Thanks for commenting, all the best to you and have a good day.